Clear Noise Analyzer is a full-fledged application designed to measure the “composition” of a building in order to generate an acoustic map for it. 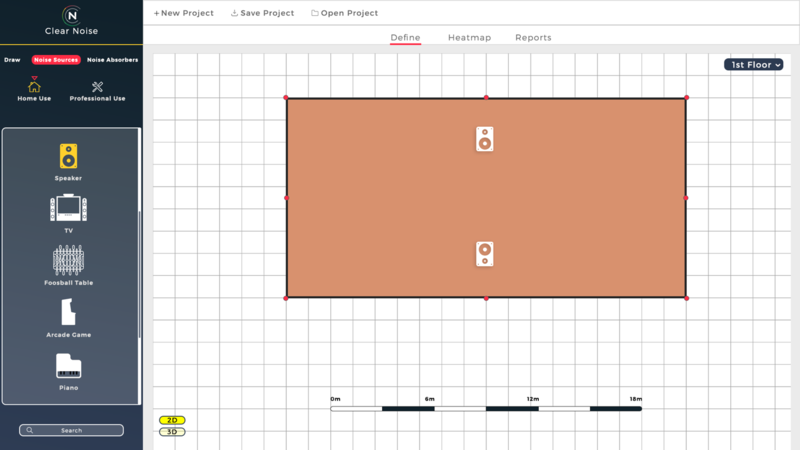 Areas in a building can be defined in both 2D and 3D, depending on the user’s preferences, and view modes can be switched at any time. One of the first steps before generating a report consists of adding elements to the environment. For example, windows, walls, roof, floor, and doors can all be added to the selected area. The user can select various materials for each element; for example, the floor can be wood, marble, granite, carpet, etc. Clear Noise offers a section called Noise Sources. It is divided into Home and Professional (warehouse, factory, etc.) types, so that users can select which type of environment they are about to define. For home environments, users are able to add speakers, TV, football table, piano, and many more. Noise sources can be defined in both 2D and 3D views. 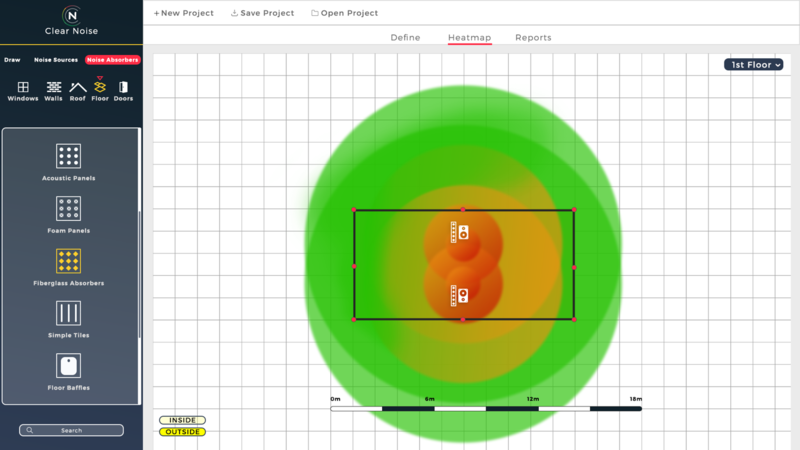 After the user defines the environment, the application generates a heatmap that reveals expected noise levels. In order to control the noise in an area, users are able to add noise absorbers, including acoustic or foam panels, into the environment. Once the absorbers are added, the heatmap will change its structure to be in accordance with the new design. The resulting heatmap will display the noise levels both inside and outside the environment. The application can be used for multiple types of buildings, including warehouses, classrooms, and conventional homes. 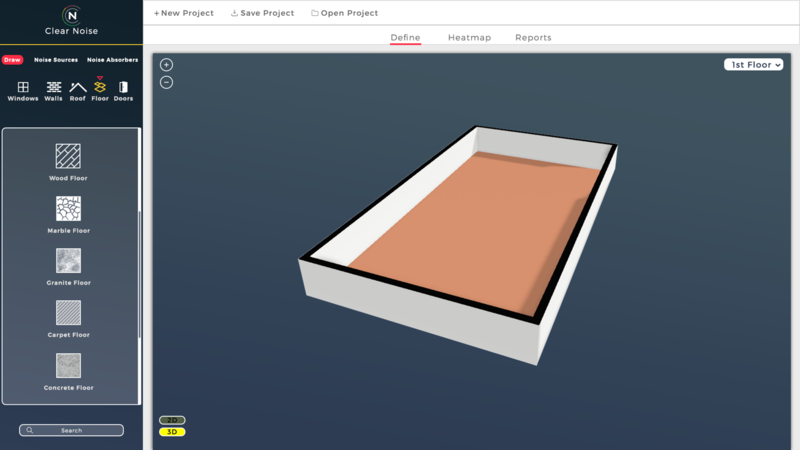 Through this app, users can create as well as visualize 2D or 3D replicas of their configured buildings. Noise source elements can be selected and placed inside the building. A variety of elements can be added, including machineries, audio systems, and TVs. The app will then generate a report that shows reverberations, acoustic performance predictions, noise areas and other statistics.